It is a bronze lasanum, a very expensive piece of equipment. The way it works is you put charcoal and some oil/wood in it and light it which makes a hot fire (as you can see flames are coming out of it). You then spit meat and put it in the lasanum to roast the meat. This particular lasanum seems to have an arch allowing it to be hung and the man is hanging it from a tree limb. The man on the left is butchering a deer (you can see the deer's antlers and the knife in the man's right hand). The deer is hung from the tree, just the same way a modern butcher suspends a carcass before making his cuts. It is the meat from this deer which will be cooked in the lasanum. The hounds seem very interested in the deer carcass. Our word "lasagna" is believed to come from the word lasanum. 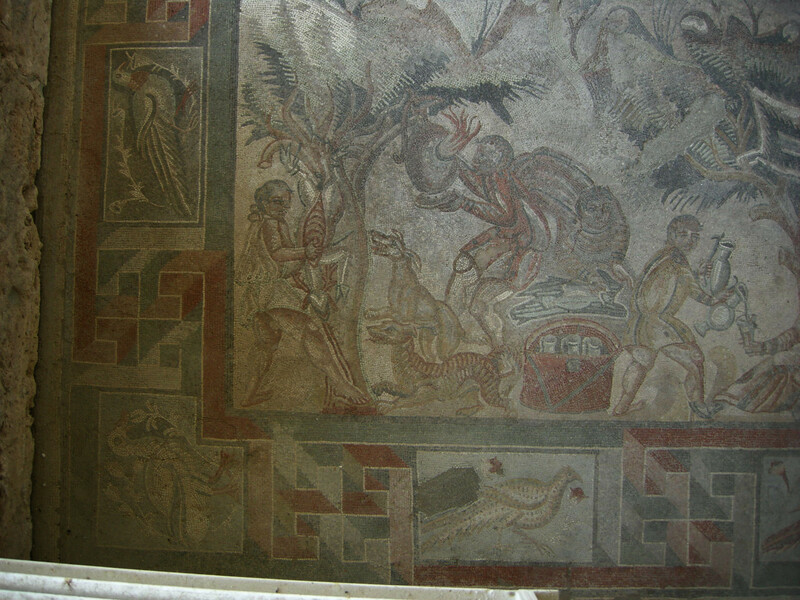 This mosaic of the Villa Tellaro shows various scenes of hunting. 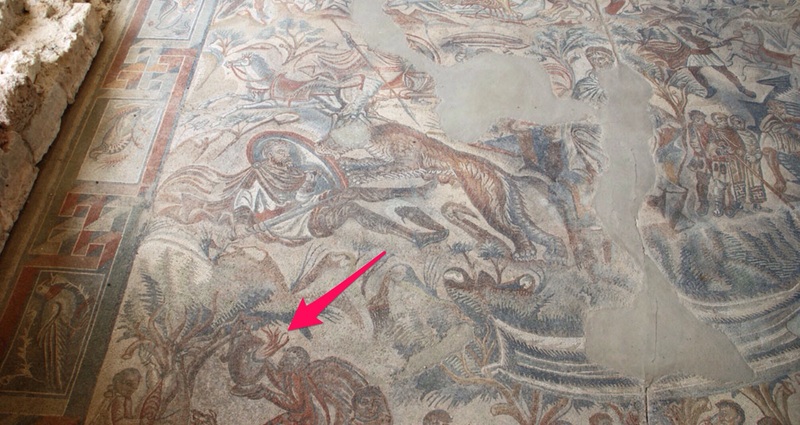 The detail in question depicts the final stage of the hunt: the cooking of the meat. I think it is a bee smoker. You can see the man on the far left stripping the hive. Not the answer you're looking for? Browse other questions tagged roman-empire technology art identification or ask your own question. What impact did the rocket inventions of the German rockeeters have on WW2?